Colourful aurora with corona over Steinafjall, south-eastern Iceland. Aurora coronas are the result of a perspective effect when parallel streaks of aurora are seen directly from below. 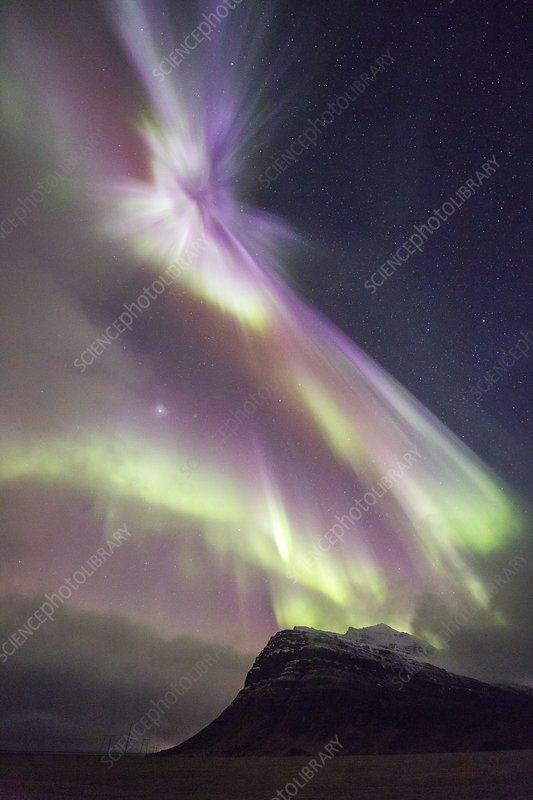 This aurora display erupted in Earth's ionosphere during a massive geomagnetic storm on March 18, 2015, over Iceland.